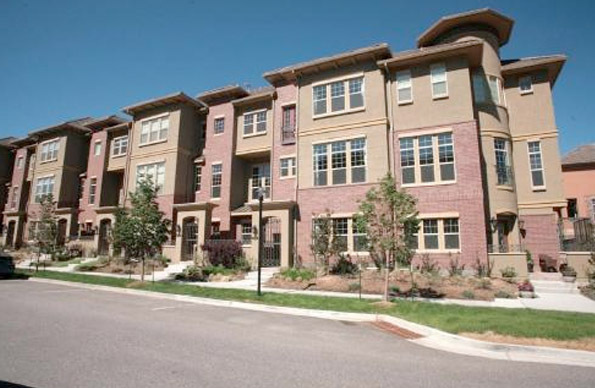 The harsh winters of Centennial, Colorado could have you looking for better materials for the siding on your home. Scottish Home Improvements is your local Centennial siding contractor and will help you discover affordable and low-maintenance siding options. Whether you’re looking to upgrade your mid-century home in Willow Creek or your ranch-style house in Smoky Hill, we’ve got you covered. While vinyl has traditionally been a popular choice of siding material, many homeowners are now looking at James Hardie® fiber cement siding in Colorado because of its ability to withstand harsh weather extremes both in summer and winter. 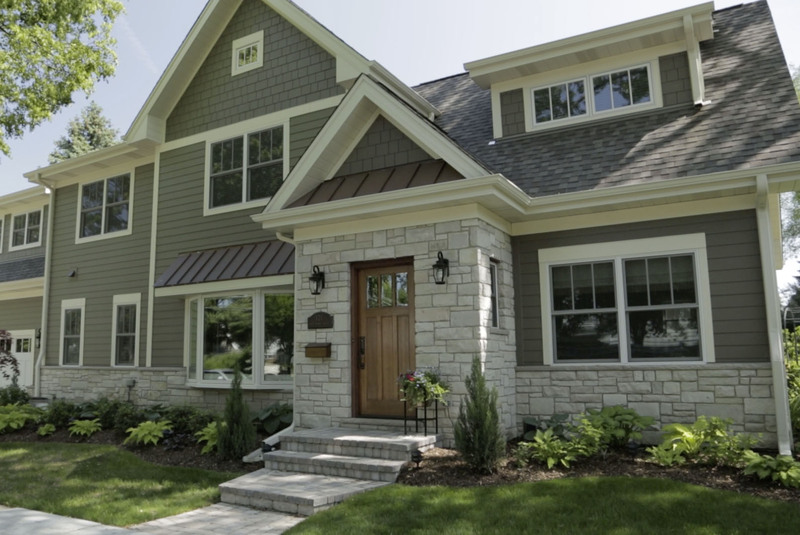 James Hardie® fiber cement is dimensionally stable and resists cracking, rotting, warping, buckling, swelling, and deterioration. It maintains its beauty over the product lifetime. It can be styled to match the current exterior of your home and coordinates nicely with natural wood and stone elements. Most of our homes in Centennial have values higher than the state average and prospective home buyers expect more for their money when they purchase property. Fiber cement siding has the cleanest look of any siding product and has the highest rate of ROI in terms of the increase in equity following a new siding install. Your home therefore sells quicker and for a higher price when protected by James Hardie® siding. If you enjoy the look of original cedar siding on your home, you can count on Scottish Home Improvements to provide a similar look, either with the James Hardie® Fiber Cement Cedarmill finish, which requires no maintenance, or with natural cedar siding, for those who want the authentic cedar aesthetic and don’t mind staining and painting every other year. We have the largest inventory of wood and cedar siding options from local family owned businesses. 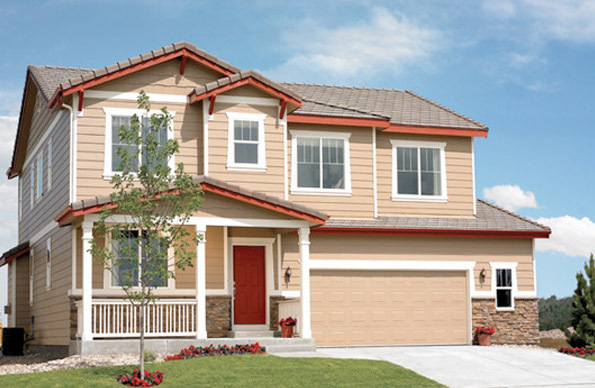 Although these siding options require high maintenance, they are sustainable products that offer a timeless look that’s always been popular among Colorado homes. Vinyl siding is a wonderful choice for homeowners on a budget. This cost-effective siding material comes in a wide array of design options and styles, with relatively low maintenance needs. Fading and cracking can occur with vinyl siding, but it’s a great option for the price. 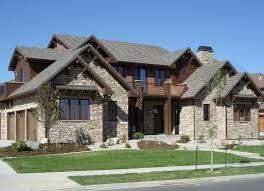 Stone siding and accents have always been a popular choice in Centennial. We’ve partnered with Sunset Stone, a local stone manufacturer, offering homeowners and business owners premium stone options. Whether you’re looking to create a full stone facade or simply add stone accents to your original siding, we’ve got you covered. For Centennial businesses, Scottish Home Improvements can provide you with steel siding that can protect your commercial space from Colorado’s erratic weather extremes. Alside steel siding delivers optimal aesthetics designed for residential properties throughout the Centennial area. Beauty paired with steel siding’s durability and low maintenance requirements complete the requirements dictated by the homes in this neighborhood. Scottish Home Improvements is proud to have successfully completed dozens of repair siding projects throughout the Centennial area. We specialize in both commercial and residential siding repair, repairing all different siding materials of different ages. Our comprehensive siding inventory ensures we can match your original siding in replacement cases. Scottish Home Improvements has always been based in Centennial and our new showroom just south of Arapahoe Road (between I25 and Parker Road) is open to the public 6 days a week. We hope that local residents will make use of the showroom and visit us for advice on siding and our other home improvement products. Alternatively, you can always call us and we will meet you at your home for a free consultation to give you our unbiased advice and a personal, local service you can trust. No matter where you’re located in Colorado, and no matter what kind of siding you would like for your home, Scottish Home Improvements can provide a great experience for you. Our project managers oversee each worksite to ensure that your siding is being installed up to both building code standards and our own high standards of quality. Our comprehensive collection of siding ensures you’ll find the perfect match for your home or business. Give us a call or send us an email today with any questions about adding or replacing siding on your home or to set up an on-site consultation. Our experts are available to answer your questions, and we can’t wait to start working on your siding today!